Eli Lilly has posted a strong 8% increase in sales for the second quarter, led by growth of new products such as Trulicity, Taltz and Jardiance. However this upbeat story has been spoilt by a major setback to baricitinib, an oral rheumatoid arthritis drug which the FDA is refusing to approve without further trials. 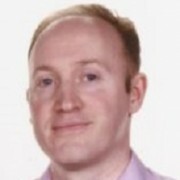 It is now 12 months since David Ricks took over as chief executive of Lilly, who has injected new energy into the company after taking over from John Lechleiter. Ricks was fortunate to inherit a number of growing and promising brands in the pipeline, though analysts don’t believe these will be enough to produce sustained growth over the next five years. The 8% increase in second quarter revenues (reaching $5.824 billion) was driven by a 5% increase due to volume and a 4% increase due to ‘realised prices’ (including price increases in the US), though these were partially offset by a 1% decrease due to the unfavorable foreign exchange rates. Leading the growth was GLP-1 diabetes product Trulicity, which saw sales rise 139% compared to the same period last year. The drug has been boosted in particular because of its inclusion on Express Scripts’ formulary, with its rivals left out in the cold. Psoriasis treatment Taltz, insulin glargine biosimilar Basaglar, type 2 diabetes treatment Jardiance, sarcoma drug Lartruvo and cancer treatment Cyramza also all grew, though Cialis, Zyprexa, Alimta and Strattera saw sales volume decline. However the company also announced that it hasn’t found a way round the FDA’s rejection of baricitinib. The once-daily oral treatment for moderate-to-severe rheumatoid arthritis (RA), had looked like a future market leader, poised to take over from AbbVie’s injectable Humira as the dominant treatment in the multi-billion dollar field. But now Lilly and its development and marketing partner Incyte say the drug will not be re-filed this year. The companies were stunned when the FDA rejected the drug in April this year, the US regulator saying it wanted to see further data on doses and safety questions. The FDA said it was concerned about an ‘observed imbalance’ in thromboembolic events during the placebo-controlled period of the RA clinical programme. This is despite Europe’s EMA raising no such questions, and which approved the drug in February, under the brand name Oluminant. The companies say they will further ‘discuss the path forward’ with the FDA, and will weigh up their options for resubmission, including the potential for a further clinical study, as requested by the regulator. They say the length of time to a resubmission for the NDA will depend on which option the companies pursue and further FDA discussions, but say it is least 18 months. This will hand time to its competitors to develop their market share, such as Pfizer with its Xeljanz. Lilly pounced yesterday to fill this gap in its immunology portfolio, unveiling a deal with Nektar Therapeutics. The companies signed a collaboration worth up to $400 million around a novel immunological therapy discovered by Nektar, NKTR-358. The drug candidate achieved first human dose in Phase 1 clinical development in March of 2017, and looks promising against a number of autoimmune and other chronic inflammatory conditions. NKTR-358 is a potential first-in-class drug that aims to address an underlying immune system imbalance in patients with many autoimmune conditions. It targets the interleukin (IL-2) receptor complex in the body in order to stimulate proliferation of regulatory T cells. Despite having a strong core of promising pipeline agents and fast-growing products, Lilly has to find more revenue streams. 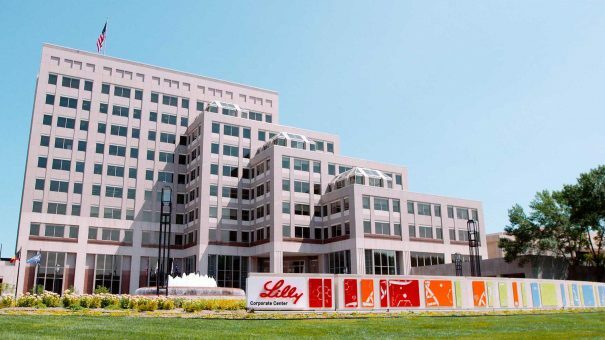 According to Evaluate Pharma’s forecasts for 2022, Lilly looks set to fall two places in pharma’s top 20 companies within five years, despite a predicted CAGR of 3% over the period.